The Plaza at Wilderness Pass serves as a centerpiece for the event with an area for character interaction, additional displays—and the focal point—a 40 ft. tall pumpkin tree. With the addition of Great Pumpkin LumiNights to the Harvest Festival in 2017, a number of families created new traditions and memories they’ll share forever, something Parton expected to happen once she first saw the renderings for the initial event. 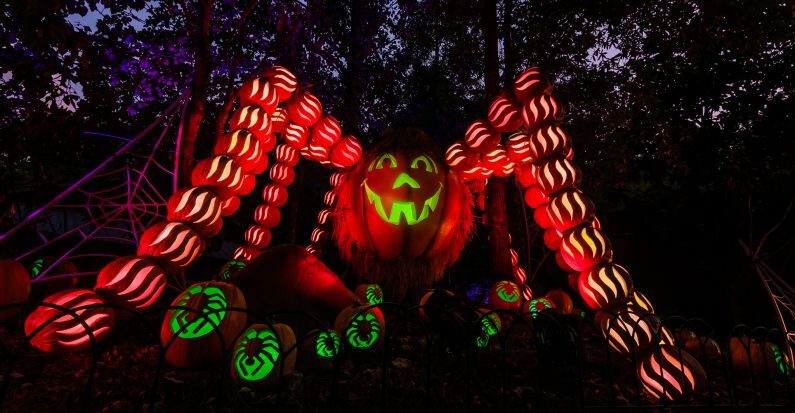 Families will bask in the glow of thousands of intricately-carved pumpkins as they wander through displays throughout Dollywood’s Timber Canyon, Wilderness Pass and upper Craftsman’s Valley areas. Beyond the impressive displays, guests can find a number of exciting activities to create thrilling memories together. With so many carved pumpkins needed to create Great Pumpkin LumiNights, Dollywood has “pumpkin artists” who will host demonstrations to help guests learn how to produce the perfect pumpkin masterpiece. Alongside Great Pumpkin LumiNights, the biggest names in Southern gospel music visit the park for the Southern Gospel Jubilee. Thanks to the additional operating days, more than 625 individual Southern gospel performances take place on stages throughout the park throughout the run of the festival—making it the biggest Southern gospel event in America. It’s very fitting for the music icon who got her start singing in church with her family. Dollywood celebrates Smoky Mountain crafts all year with the park’s well-known master craftsmen. During the Harvest Festival, however, more than 30 visiting artisans from across the country bring their wares and share their talents with Dollywood guests. Craft demonstrations include textile art, inspirational jewelry, loom weaving, paper marbling, bentwood boxes, rug hooking, fiddle making, dulcimer making, and much more. For more information about Dollywood’s Harvest Festival featuring Southern Gospel Jubilee and Great Pumpkin LumiNights, please visit www.dollywood.com, call 1-800-DOLLYWOOD, or download the Dollywood App.